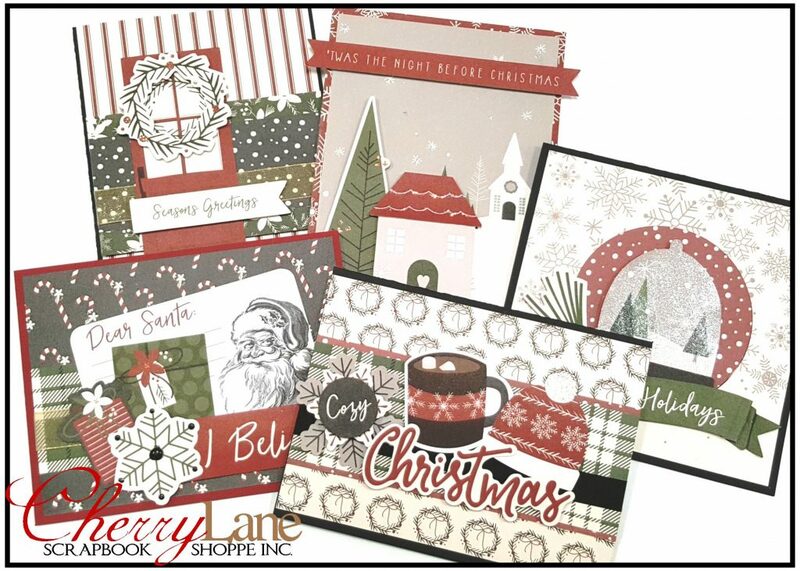 Card making season is in full swing, and the new My Mind’s Eye “Winter Berry” collection is the perfect fit to send warm wishes this Christmas! Create five cards in class with this elegant and sophisticated collection featuring a color palette of gracious grays, crisp blacks, powdery whites, elegant greens and rustic reds. Beautiful wintry spruce, white and gray flowers, frosty snowflakes, festive holly & dear old Santa will have you feeling warm & cozy this Christmas! Your class kit includes 12 double-sided 6×6 papers, over 40 die cut pieces and coordinating ribbons and bling with LOTS of extras to create even more!